A good working environment is good for business, says Pål Molander, Director General at the National Institute of Occupational Health. What is more: The Nordic countries have successfully adapted the working environment in the face of a changing labour market. The working environment has been a strength in the past, and must remain so in the future, he says. People have become less aware of the importance of a good working environment, and what a good working environment is, says Pål Molander. In social settings he often asks people what they associate with ‘a good working environment’. He says more and more often people mention good welfare, the ability to exercise during working hours and the flexibility to take time off to sort out private issues. STAMI, the National Institute of Occupational Health, does not work directly with businesses, but provides research in cooperation with the social partners and other parties like the Norwegian Labour Inspection Authority, occupational health services and trade associations. The Director General is also a member of the working group which focuses on strengthening the execution of The Letter of Intent regarding a more inclusive working life (the IA Agreement). Molander has also been asked by the Ministry of Labour and Social Affairs to lead the expert group which will evaluate models for the future occupational health service. There are many networks and many meetings. Pål Molander travels a lot and is often away from the office. So much so that he misses his favourite office chair and conversations with colleagues. He is very sociable. His infectious laughter very probably helps keep the STAMI working environment healthy. The average retirement age there was 68 in 2016 – the official Norwegian retirement age is 67. Still, he worries that all the meetings he has to attend mean he cannot contribute enough in the office, and that he loses the personal contact with the life on the inside. “In Norway we have reached the conclusion that the term working environment has become too wide,” says Pål Molander, referring to the debate between the social partners and in his networks. Molander thinks there has been too much focus on health. “Since reducing sickness leave has been a goal, various methods have been tried out to achieve this. We’ve seen everything from offers of psychotherapy to training and activities during working hours. It has had no effect. The problem is often that those who are in danger of falling outside of the labour market rarely make use of these benefits. On the contrary – people of good health and those who exercise anyway are the ones using them. “Mindfulness is another example. It’s good to chill out, but it does not lead to a better working environment. “The working environment is all about the job. As an employer you have to prevent stress by taking organisational action which can lead to change, for instance when it comes to how workers experience demands and control over their own working situation. “Norway has Europe’s highest levels of sick leave, but also the most inclusive working life. 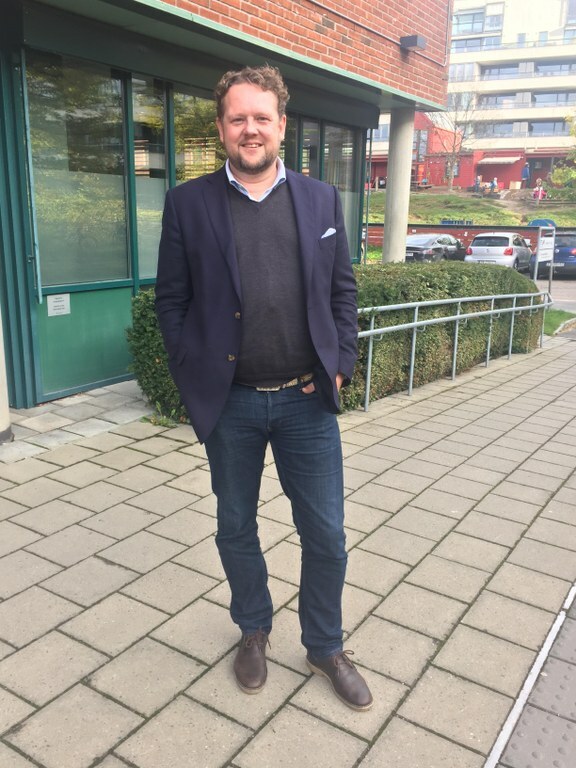 When many people with chronic diseases or reduced functional abilities are included into working life, we need to take into account that sick leave levels might rise,” says Molander in his capacity as a member of the working group for the IA agreement. The tripartite agreement on a more inclusive working life has three main aims: to reduce sick leave, include into working life more people with reduced functional abilities and get people to retire later. Yet the work to include more people with reduced functional abilities has so far yielded no results. STAMI has just presented a survey which compares working environments in Norway and the EU. It shows things are not so good in certain areas in Norway. Work has become more intense and more people feel they have less control over their own work situation. What is your comment? The survey also shows that Norwegian women are more exposed to violence and sexual harassment in working life. “This has a lot to do with the gender-segregated labour market. More women work in relationship-based occupations where they are more exposed to violence. We do not focus enough on the increase in violence. With all the technological and demographic change, working life has become vulnerable. Molander reminds us of the Norwegian government’s Long-term Perspectives on the Norwegian Economy. It calls for higher productivity in the labour market in order to maintain the current level of welfare. The working environment is the most important tool to make that happen. That is why Pål Molander wants to change the narrative of what the working environment should be, and increase knowledge of what a good working environment is. And right now, things are changing a bit faster than before, so it is important to influence the organisational factors. When Molander is on the road, this message is well received and embraced by everyone, because it will have an effect on our competitiveness. He highlights the tradition inherited from the pioneers within research and practice, and talks about what the ideas of a man like Einar Thorsrud, the first head of Oslo’s Labour Market Research Institutes from 1965, contributed with – including the trials of cooperation between the social partners, LO and the employers' organisation NAF, the precursor to NHO. The action research helped prepare the ground for the development of new ways of cooperating, an industrial democracy and participation in the labour market. The cooperation trials were pushed forward by the need to document the link between a good working environment and productivity. This also formed the basis for the first working environment act. The psychological work demands for a good working environment, as described by researchers Einar Thorsrud and Fred E. Emery in their book 'Towards a new industrial organisation' ('Mot en ny bedriftsorganisasjon'), are still as relevant as then he thinks: The need for meaningful and varied work; the need to learn something at work and to keep on learning; the need to have some authority and make decisions within your own field of expertise; the need for human support and respect; the need for meaning and to see the link between the job you perform and the bigger picture; the need to experience the job as being of value; the need to be able to step back and have space to yourself. The need for a democratic level of influence, to be seen, to be fairly treated and to be shown respect. Pål Molander is keen to focus on preventative measures. The occupational health service is important here. Whether today’s solution works satisfactorily has been subject to debate. There is also some doubt surrounding what is the responsibility of businesses and what is the responsibility of the occupational health service. These are some of the issues the working group that he leads will look into. “The working group has been given an exciting mandate. We are working to develop several different models for how the occupational health service’s work can be adapted. Businesses should still be obliged to seek help and advice when risk levels demand it. One important part of this work is to investigate the pros and cons of the different models. This will form the basis for the ministry’s further work with finding the most efficient and targeted solutions which benefit the Norwegian labour market the best,” says Pål Molander. The Labour Inspection Authority is another authority which STAMI provides scientifically based knowledge to. They help the authority decide where and how to perform their risk-based inspections. Around 50 percent of the Labour Inspection Authority’ capacity is linked to preventing labour market crime. With that in mind, it is important that risk-based inspections of businesses are based on knowledge. The link between a good working environment and productivity – and the other way around, how much is costs to ignore the working environment – is not a new thing. But it gets more and more attention. At the recent World Congress on Safety & Health at Work in Singapore, the European Agency for Safety and Health at Work, EU-OSHA, together with the ILO, presented an estimate that showed work-related accidents and injuries will cost €476m a year. “We are no doubt in a phase where the focus on the costs of bad working environments is increasing,” says Pål Molander. But in addition to calculating the losses to society, it is also important to focus on the individual businesses' losses – and the gain too, when you succeed. That is when the numbers in question quickly increase. “This is a new field of research. You need to estimate the effect of interventions, the effect of optimising the working environment. This is a growing field. The main effect is win-win. I wanted to play and have fun. I had a carefree childhood in Fredrikstad with sea and sunshine. The first time I started thinking about this was in year 6 at primary school. We were going to restore our house, and I wanted to be an architect. I have always focused on having fun. For that I am quite glad. Many people are focused on the future. I didn’t think about it. I grew up in a safe environment where children from different backgrounds played together whether your father was a brain surgeon or a driver. My chair. Lately I have been away a lot. I worry that I don’t get to talk to people as much as I usually do. I like it when people come over to talk. For someone who is as bad at playing the guitar as me, I am quite good at using my guitar to write songs and lyrics. Rather than sitting down with a book, I sometimes sit down at night and strum my guitar a bit. I thing I am quite good at getting a message out in lyrics and a melody, on an amateur level of course. It is a channel for getting things both out of and into the system. Being in touch with myself. I like that. I don’t read much fiction outside of holidays. There is so much work reading to do. So I take the boys to football practice, but my wife reads a lot and she keeps me up to date so that I manage OK in social settings.